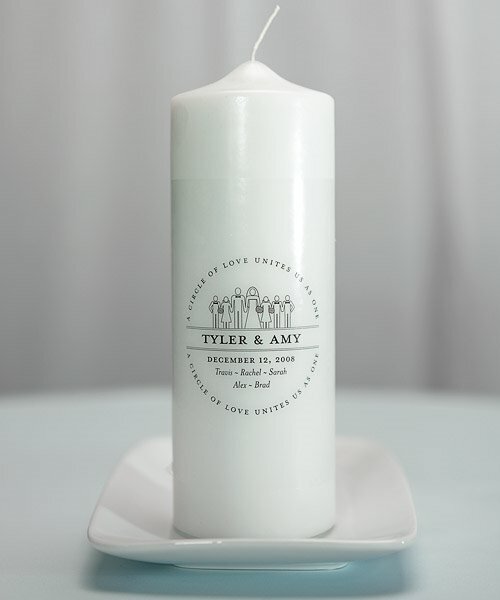 Signify the blending of two families with this personalized unity candle. 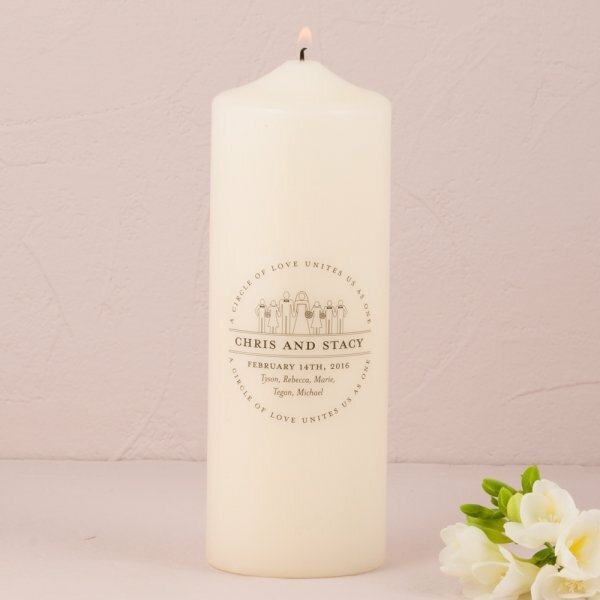 Designed with your new family crest, we will customize the candle with the bride and groom's names, wedding date and up to eight children. 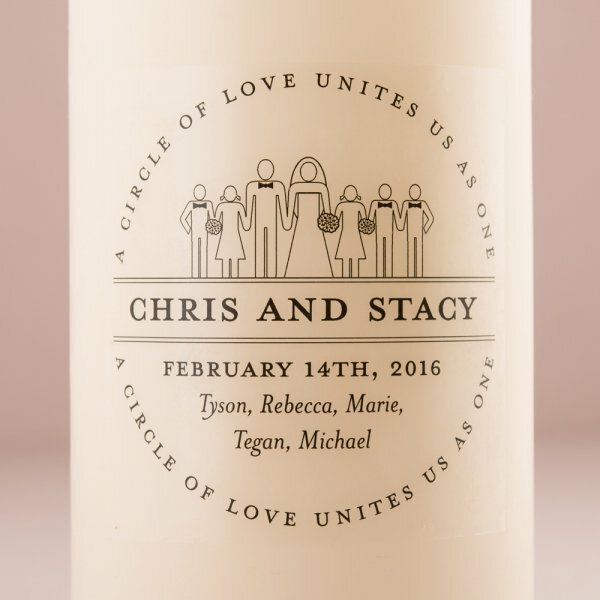 The phrase surrounding your family crest states "A Circle of Love Unites Us As One". 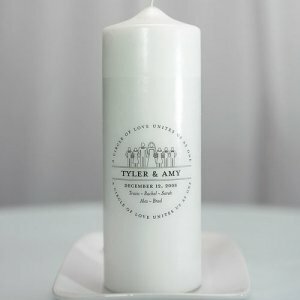 This truly unique candle is designed specifically for your new family and will become a treasured keepsake after your wedding day. Candle measures 3" by 9"